....... The first model in the range is the £700 eBike which proved to be a lot of fun in the week I had it on test – it’s surprising how quickly you can get used to going electric, not least because it’s a lot faster than pedal power and means you can whizz along the river effortlessly overtaking runners and push-bikers alike. The practical details are straightforward: the eBike has a 250W brushless rear motor and is powered by a lithium battery which takes four hours to charge (closer to six if it needs a 100% recharge). Billed as a budget model, it has a 35-mile range with a top speed of 16mph. There’s built-in front and rear LED lights which you activate via push-buttons on an LED display panel on the left handlebar. The panel shows which of three speed modes you’re in and how much battery power you have left. ...... 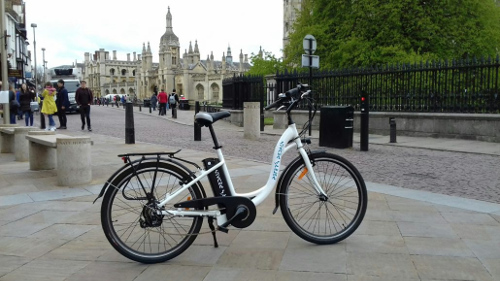 The eBike qualifies for the government-backed Cycle to Work scheme for employees, so ask your employer if that’s an option for you.